Experiencing hangover symptoms after a night of heavy drinking? 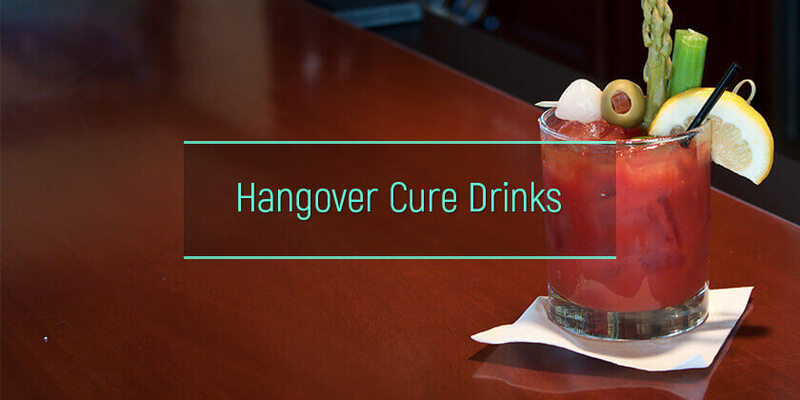 There are hangover drinks that may cure this problem and get one back on one’s feet faster. Some of these home remedies help the liver better able to handle alcohol while others eliminate the toxins from the body. Can drinks relieve hangover symptoms? What is the best drink to cure a hangover? Does coconut water help with veisalgia? Is coffee a good drink for a hangover person? Will tea reduce the crapulence? Are there benefits of the orange juice for a hangover? Will Virgin Mary cure veisalgia? Do green smoothies reduce hangover symptoms? Will lemon water help with the after-effects of alcohol? 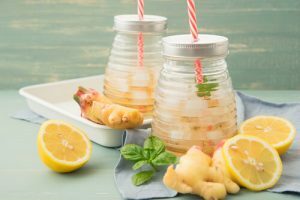 Can ginger ale reduce the severity of crapulence? How does coke relieve veisalgia? Is pickle juice good for hangovers? How does pear juice work with crapulence? Do sports drinks reduce the effects of a night out? While no hangover drinks provide the ultimate remedy for alcohol after-effects, they do alleviate some of the symptoms. These liquids provide a cure for alcohol binges by slowing down or inhibiting the effects of alcohol on the body. One may also have these hangover drinks with alcohol to lower the risk of a hangover the following day. Why do hangovers happen? These two factors – dehydration and toxins – are the answers to this question, and plain water provides a fantastic cure for them. In severe cases, one may need IV fluids for the hangover to correct the dehydration. Plain water is the best thing to drink when hungover. After a heavy bout of alcohol intake, the liver works overtime to digest alcohol and remove it from blood, releasing several harmful toxins in the process. Water reduces the aftermath of alcohol intoxication by improving the rate at which the liver and gut enzymes metabolize alcohol and helping to wash off the toxins from blood circulation. Besides, alcohol acts as a diuretic, meaning that it makes the body lose a lot of water. Taking water may help to rehydrate the body, together with other drinks or a good hangover food to replace the electrolytes lost from the body. Wondering how to cure a hangover? Besides plain water, these other drinks make a hangover less intense and hasten resolution of the symptoms. For people who have ever wondered what’s good to drink for a hangover, these are the options. Coconut water is one of the best things to drink for a hangover. Coconut water is the liquid found in young coconut. Coconut water contains antioxidants and potassium, which make it useful as a good hangover drink. Alcohol releases some toxins and also depletes the body’s store of anti-oxidants. The morning after heavy drinking, drinking coconut replenishes the body’s content of antioxidants, which mop up toxic chemicals released as a result of the intoxication. Also, the potassium content of coconut water is similar to that of banana, making it a rich source of potassium to replace the volume one loses during after a night out. Diarrhea depletes the body’s store of potassium causing symptoms such as fatigue. All of these properties make coconut water one of the best natural hangover cures. Coffee may not be the best drink for a hangover, but it does help relieve some nasty symptoms. One of the symptoms one feels after a night of heavy drinking is sleepiness and caffeine is a good remedy for this. Coffee makes one more alert. However, this may only be for a short time. Besides, caffeine boosts the amount of dopamine in the blood, and this neurotransmitter elevates mood and produces a feeling of calm. 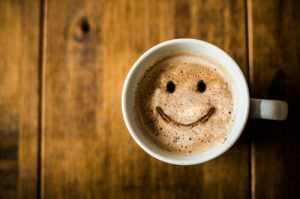 So when one experiences irritability and a depressed mood during a hangover, coffee may be the best hangover drink to alleviate these symptoms. Coffee may also cure the headaches one feels after a night on the town. Caffeine is a fantastic antidote for adenosine, a chemical that causes headaches after an alcohol binge. One more thing – if one is a regular coffee drinker, stopping coffee the day after heavy drinking may be a serious mistake, because the caffeine withdrawal that ensues may contribute to and worsen the headache one experiences during alcohol withdrawal. Caffeine is a key ingredient in many hangover recovery shots. Certain teas make a hangover less burdensome. These include ginger tea, green tea, hibiscus tea, peppermint tea, lavender tea, chamomile tea, and milk thistle. Ginger tea contains loads of active phenol compounds such as shogaols and gingerols, which soothe the stomach reducing the symptoms of tummy upset associated with heavy alcohol drinking – nausea, vomiting, and abdominal pain. Milk thistle also lowers these hangover symptoms. Peppermint tea also produces similar gastric-calming effects as ginger tea but also helps to relieve headaches. It also energizes the body, eliminating the queasiness and fatigue that comes the day after drinking. Lavender tea sends feel-good signals to the brain, producing a feeling of calmness and also relieving tight muscles and joints, making it a fantastic cure for muscle aches and joint pains one experiences after drinking alcohol. Fennel tea has antispasmodic effects, relieving muscle aches the day after a night of heavy booze. It may produce a similar or even greater pain relief than ibuprofen. Chamomile tea is a traditional herbal drink for a hangover. It remains one of the best drinks for curing alcohol withdrawal symptoms. Chamomile tea contains terpenoids and flavonoids, which produce a sedative effect helping one take a sound nap after heavy intake. These chemicals also cure muscle spasms, anxiety, and stomach upset that comes after alcohol binging. Kombucha for a hangover is also an excellent way of alleviating the symptoms. This tea is rich in antioxidants that mop up toxins from alcohol breakdown. It is also infused with bacteria that lower gastric problems after an alcohol binge. These teas are fantastic alcohol breakfast drinks to cure symptoms the morning after. Orange juice contains loads of vitamin C, which speeds up the rate of metabolism of alcohol in the body, blunting the effects of intoxication. Orange juice also replaces fluids lost during diarrhea, rehydrating the body. Also, fructose in orange juice keeps the body a little pumped up, making one less fatigued and active the morning after. Virgin Mary, a non-alcoholic version of Bloody Mary – a hangover cocktail. Virgin Mary, made with tomato juice, Worcestershire juice, Tabasco sauce, and lemon juice, is one of the best hangover cure drinks. Vodka in Bloody Mary may serve as a hair of the dog drink for a hangover. Tomato juice in this brunch classic contains large amounts of the antioxidant lycopene, which cures the next day’s symptoms by mopping up toxins released in the liver while metabolizing alcohol. Tomato juice also contains sodium and potassium, which replaces the depleted stores of these electrolytes during a withdrawal episode. Worcestershire juice contains large amounts of B-vitamins – which aids digestion – as well as molasses, garlic, and anchovies that help to mop up toxic chemicals from the liver. Lemon juice in a Virgin Mary serves as a natural laxative, soothing the digestive tract and curing the abdominal discomfort and bloating that comes with alcohol intake. Green smoothies are the go-to hangover remedy drinks. Kale is a popular component of green smoothies and produces some effects in the body that cures the symptoms one feels after a night on the town. Kale contains some substances called glucosinolates, which breakdown into a group of chemical called isothiocyanates that help the liver detoxify and eliminate alcohol more quickly. Other ingredients in green smoothies help to take the edge off when one wakes up the next morning: lemon and pineapple juice contains lots of vitamin C, which aid the liver in eliminating alcohol; avocados provide proteins, fibers, and healthy fats, which help to balance blood sugar levels, and; ginger, which cures the gut irritation. Lemon water is another good anti-hangover drink. Lemon water makes the body more alkaline, easing the headaches and migraine one may experience the morning after. Also, lemon water replenishes the body fluids lost during a hangover. Lemon water is also rich in vitamin C, which augments the liver’s ability to detoxify the body and eliminate toxins released from the breakdown of alcohol. Looking for what to drink for a hangover? Ginger ale may do the trick. Ginger ale is rich in active phenol compounds such as shogaols and gingerols, which soothe the stomach reducing nausea, abdominal pain, and vomiting associated with binge drinking. Good old’ coke is considered one of the best hangover remedy drinks. Coke contains caffeine, which boosts one’s energy levels and helps ease off the headache, the fizziness calms the stomach a bit, and the sugar help to expedite the breakdown of alcohol in the liver. Mexican soda is particularly helpful in this regard as it contains plain old sugar, which increases the blood sugar levels much faster than other sodas such as the US versions. The US sodas contain sweeteners made of high-fructose corn syrup, which take a relatively long time to raise blood sugars and resolve the symptoms of alcohol withdrawal. Drinking coke is one of the best ways to cure a hangover. Pickle juice is one drink that helps hangovers. Pickle juice contains salt, water, and vinegar, which replaces the electrolytes and fluids lost during withdrawal diarrhea. The vinegar also stimulates the liver to detoxify the body faster, curing the symptoms. Also, when pickles ferment, a healthy bacteria is released, which protects the stomach from irritation and cures the gut-related symptoms the morning after. Pear juice is one of the hangover drinks that cure the headaches and fogginess that follows heavy alcohol intake. Pear juice stimulates the enzymes that break down and process alcohol, making them function much faster. This eliminates alcohol faster from the body. Pear juice also provides a natural cure for constipation and abdominal bloating. It also lowers the inflammation and irritation of the gut. Sports drinks, such as Gatorade, do contain a lot of electrolytes and salts that can replenish the stores lost during withdrawal. An isotonic sports drink can rehydrate the body more effectively than plain water. Look no further for what to drink when you have a hangover. The best way to avoid a hangover is to avoid alcohol or drink within one’s limits. However, in the event one gets a hangover the following day, these home remedies for a hangover may come in handy in ameliorating the symptoms. Find the hangover drink that works and get the relief needed. Note, that sometimes the hangover is too severe to cure it at home. In such case, the help of the rehab for alcohol dependence may be necessary. Contact one nearby and get a professional consultation on the alcoholism treating programs.